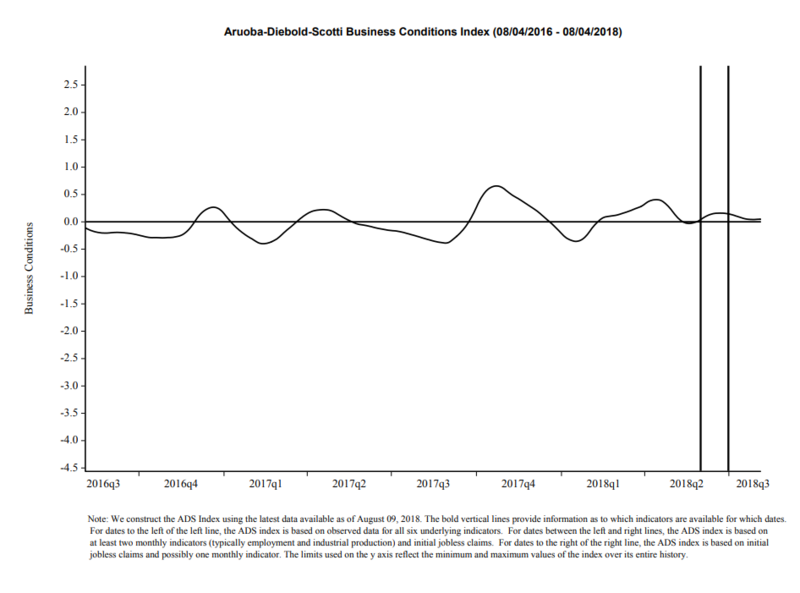 Throughout this site there are many discussions of economic indicators. 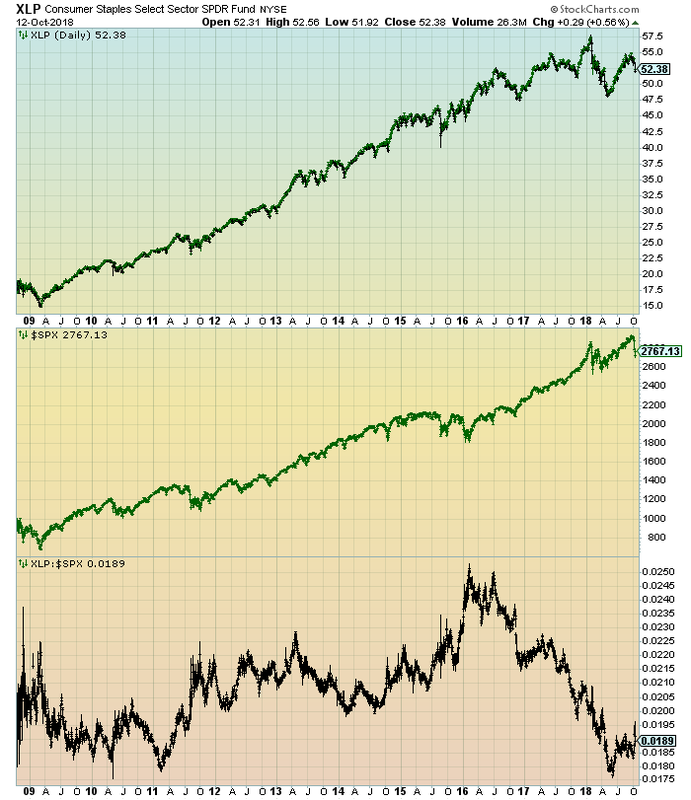 At this time, the readings of various indicators are especially notable. 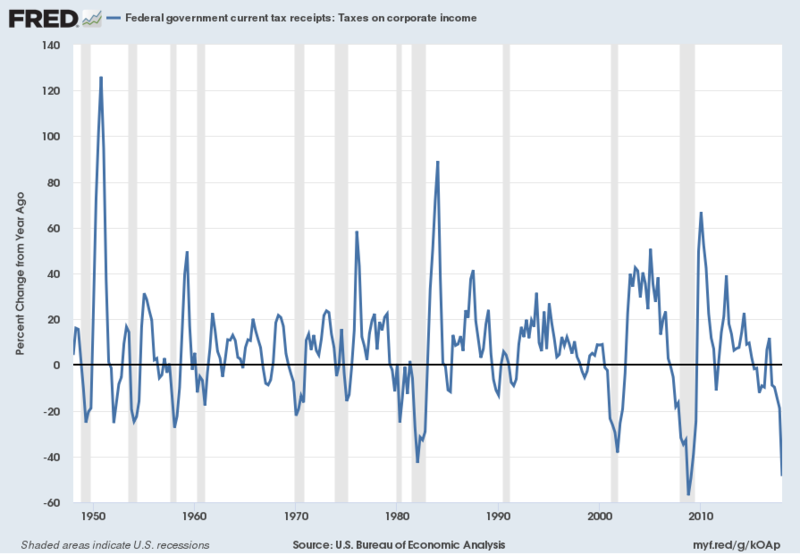 This post is the latest in a series of posts indicating U.S. economic weakness or a notably low growth rate. While many U.S. economic indicators – including GDP – are indicating economic growth, others depict (or imply) various degrees of weak growth or economic contraction. 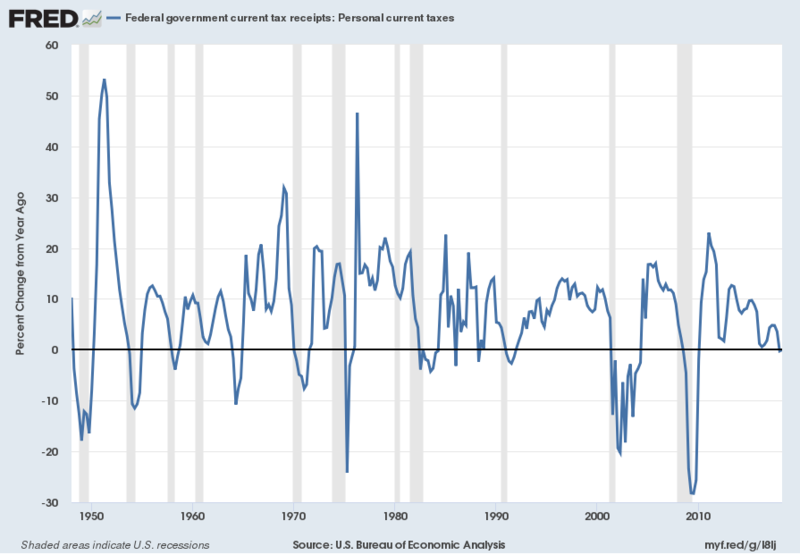 As seen in the April 2019 Wall Street Journal Economic Forecast Survey the consensus (average estimate) among various economists is for 3.0% GDP growth in 2018 and 2.1% GDP growth in 2019. 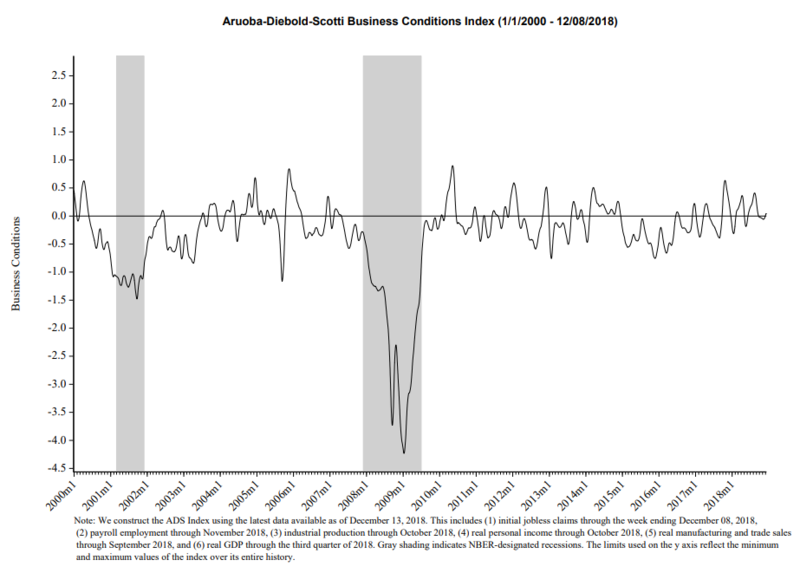 However, there are other broad-based economic indicators that seem to imply a weaker growth rate. 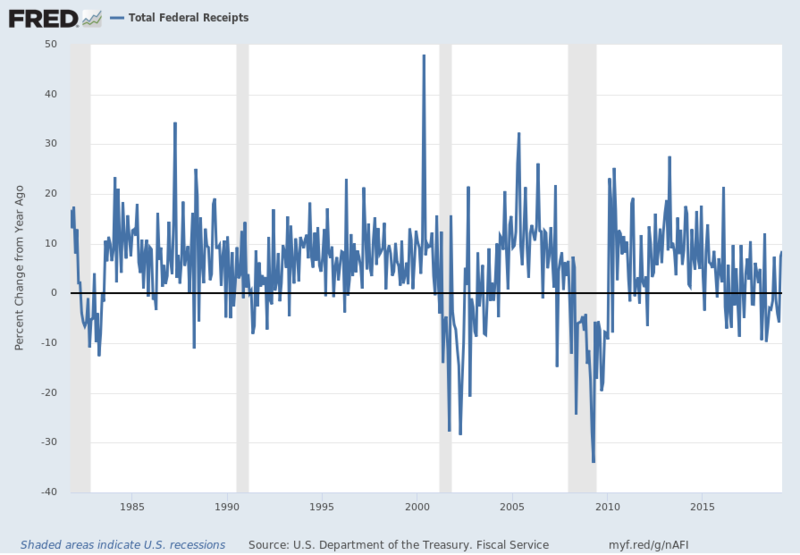 “Total Federal Receipts” growth continues to be intermittent in nature since 2015. As well, the level of growth does not seem congruent to the (recent) levels of economic growth as seen in aggregate measures such as Real GDP. 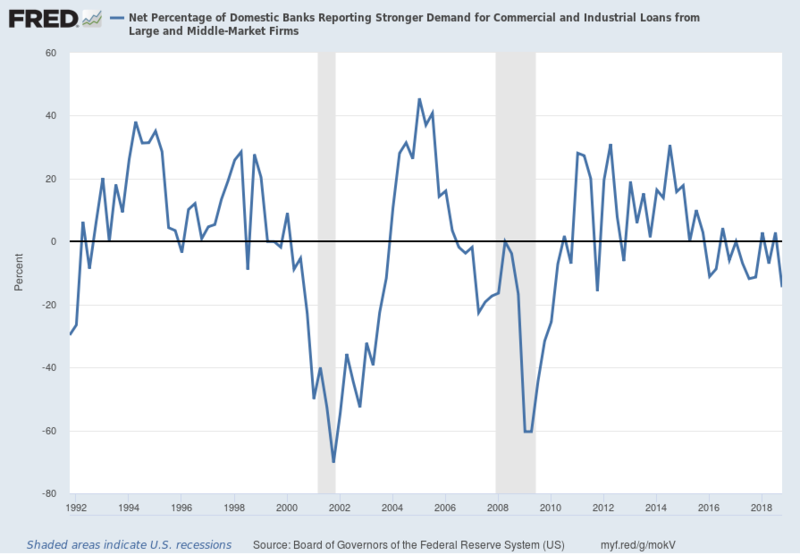 This entry was posted in Uncategorized and tagged economic weakness on April 12, 2019 by Ted Kavadas. While many U.S. economic indicators – including GDP – are indicating economic growth, others depict (or imply) various degrees of weak growth or economic contraction. As seen in the February 2019 Wall Street Journal Economic Forecast Survey the consensus (average estimate) among various economists is for 3.0% GDP growth in 2018 and 2.2% GDP growth in 2019. However, there are other broad-based economic indicators that seem to imply a weaker growth rate. 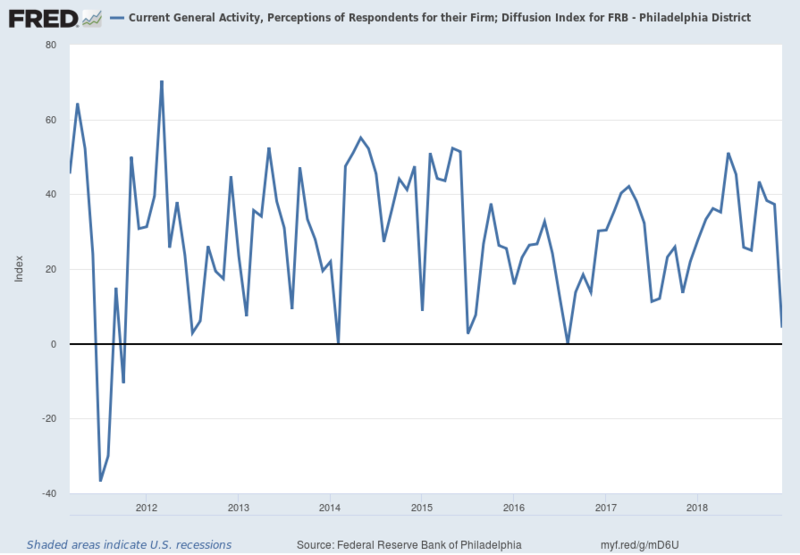 Various Federal Reserve regional manufacturing surveys are indicating either a significant weakening in growth or a decline in various aspects of activity. 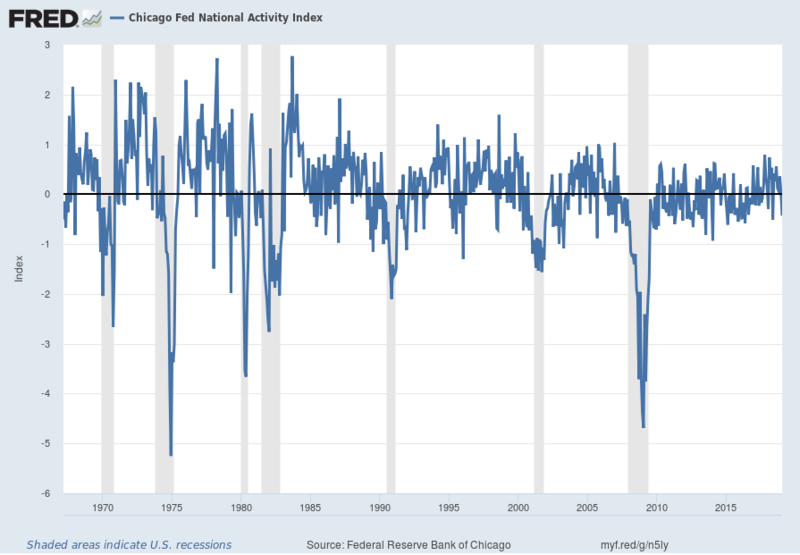 Another broad-based economic indicator that has been implying weaker growth or mild contraction is the Chicago Fed National Activity Index (CFNAI). 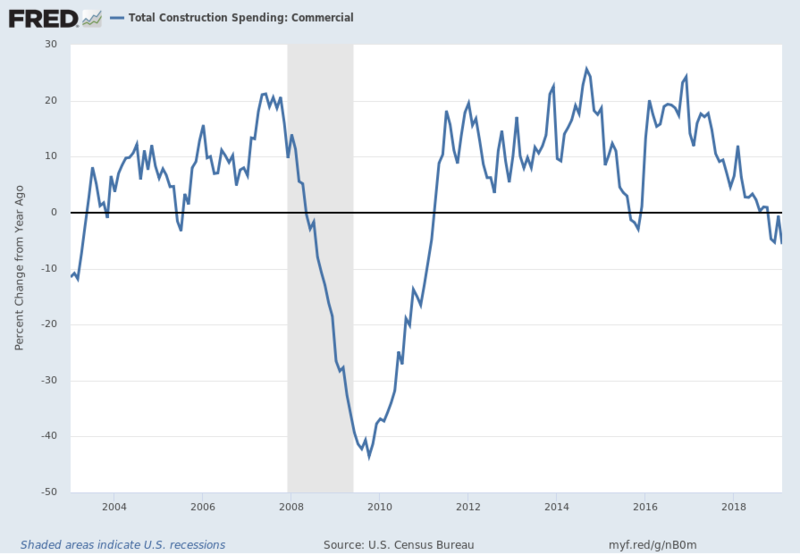 This entry was posted in Uncategorized and tagged economic weakness on March 11, 2019 by Ted Kavadas. 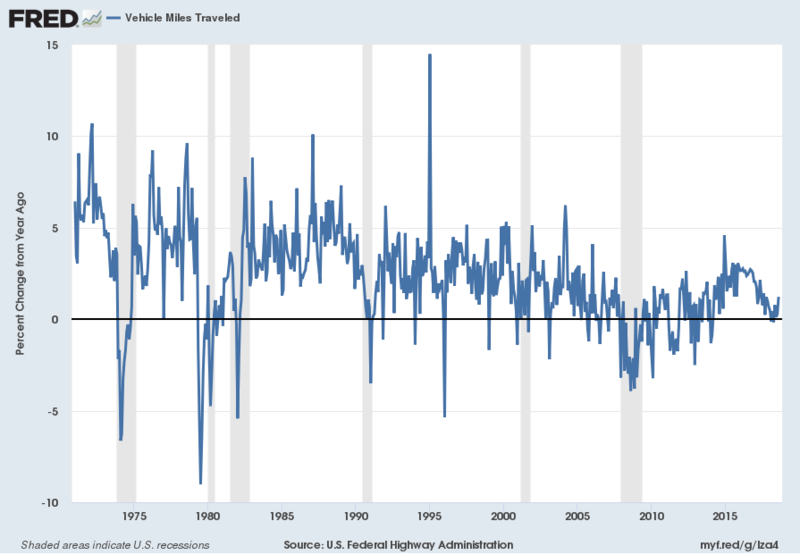 I continue to find the flagging growth trend in the “Vehicle Miles Traveled” (NSA) measure since 2015 to be notable. 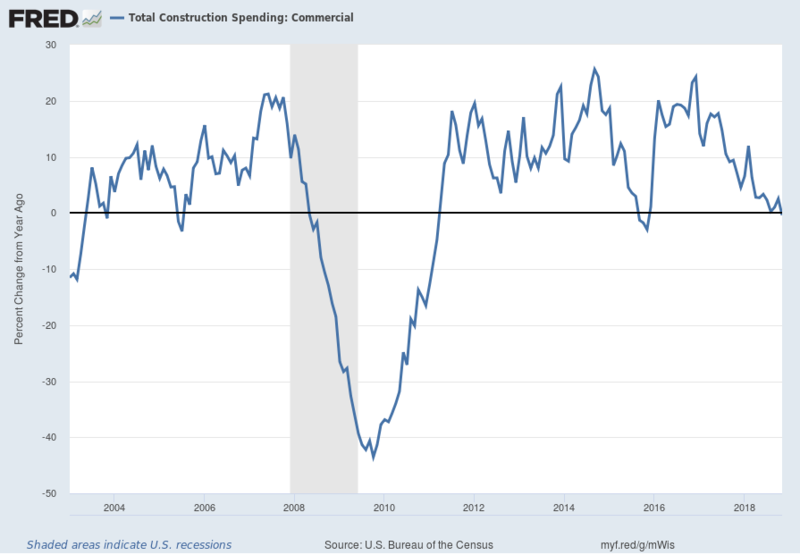 As mentioned previously, many other indicators discussed on this site indicate weak economic growth or economic contraction, if not outright (gravely) problematical economic conditions. This entry was posted in Uncategorized and tagged economic weakness on February 14, 2019 by Ted Kavadas. 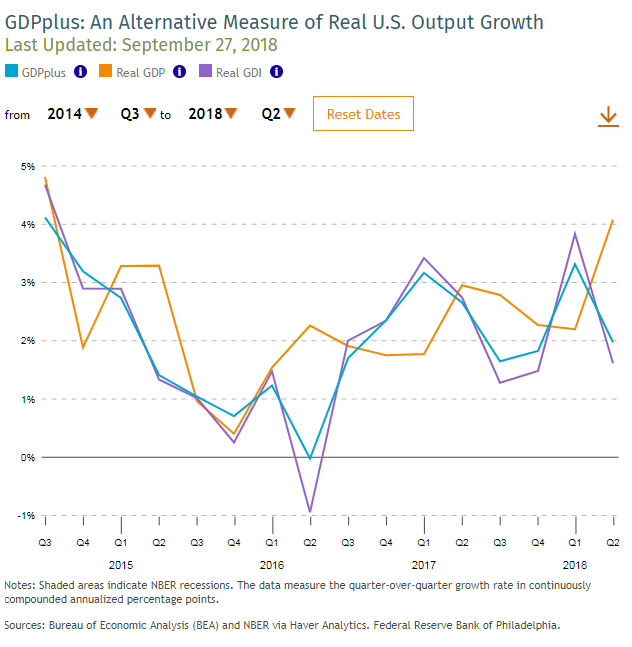 While many U.S. economic indicators – including GDP – are indicating economic growth, others depict (or imply) various degrees of weak growth or economic contraction. 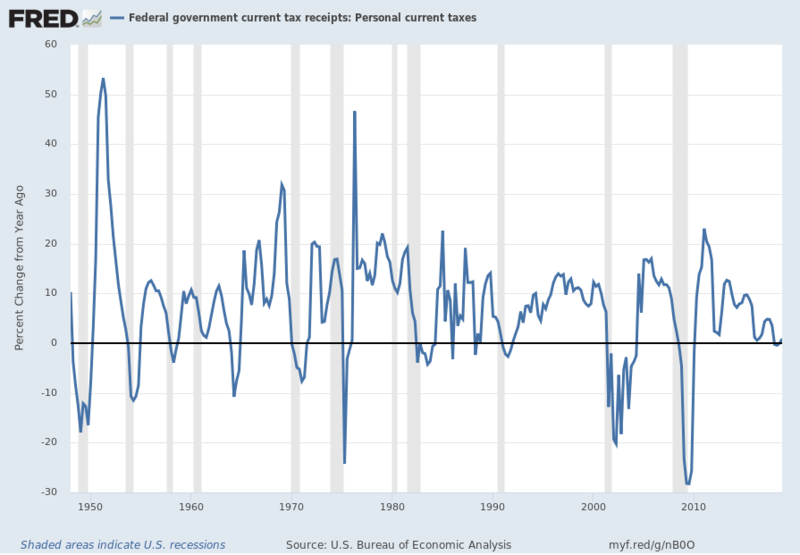 As seen in the January 2019 Wall Street Journal Economic Forecast Survey the consensus (average estimate) among various economists is for 3.1% GDP growth in 2018 and 2.2% GDP growth in 2019. 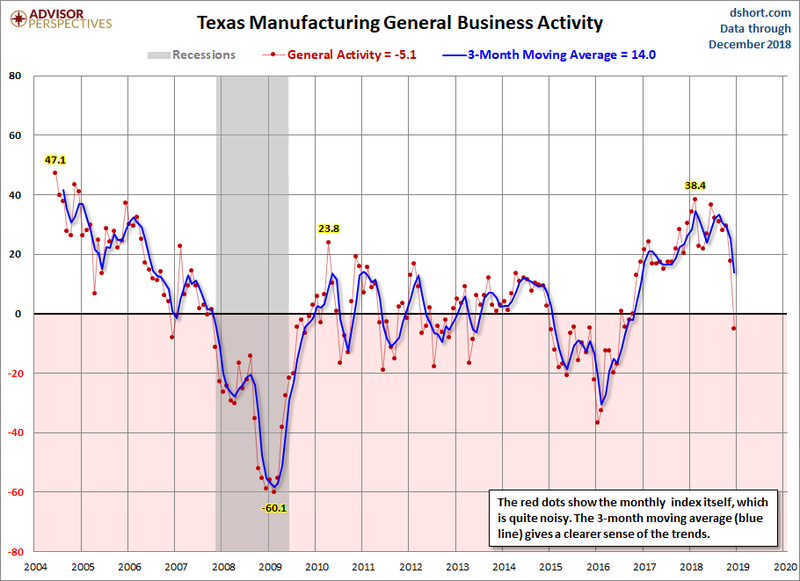 However, there are other broad-based economic indicators that seem to imply a weaker growth rate. I have written extensively concerning unemployment, as the current and future unemployment issue is of tremendous importance, but is widely misunderstood. 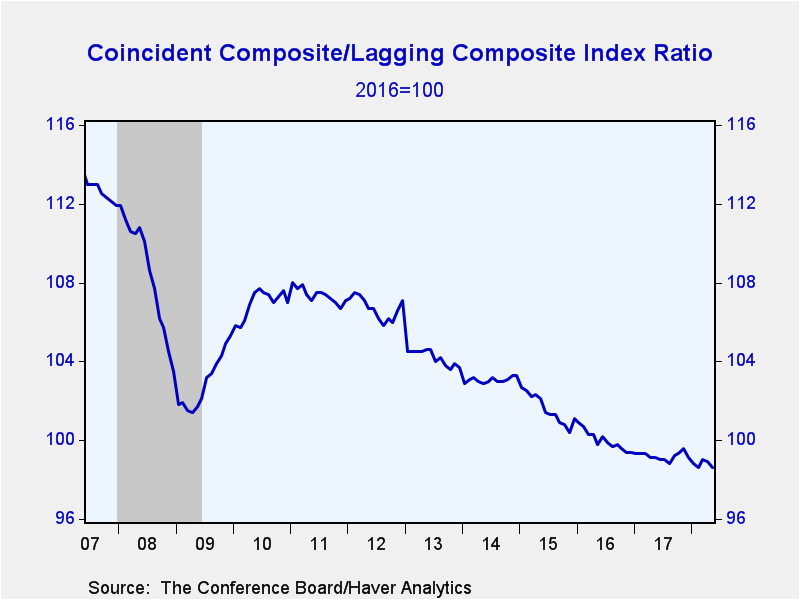 The consensus belief is that employment is robust, with the often-cited total nonfarm payroll growth and the current unemployment rate of 3.9%. However, my analyses continue to indicate that the conclusion that employment is strong is (in many ways) incorrect. 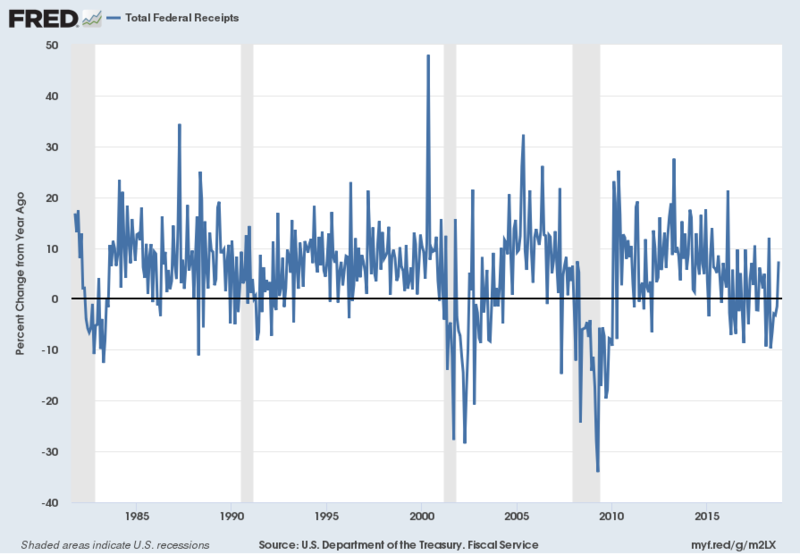 While the unemployment rate indicates that unemployment is (very) low, closer examination indicates that this metric is, for a number of reasons, highly misleading. My analyses indicate that the underlying dynamics of the unemployment situation remain exceedingly worrisome, especially with regard to the future. These dynamics are numerous and complex, and greatly lack recognition and understanding, especially as how from an “all-things-considered” standpoint they will evolve in an economic and societal manner. I have written of the current and future U.S. employment situation on the “U.S. 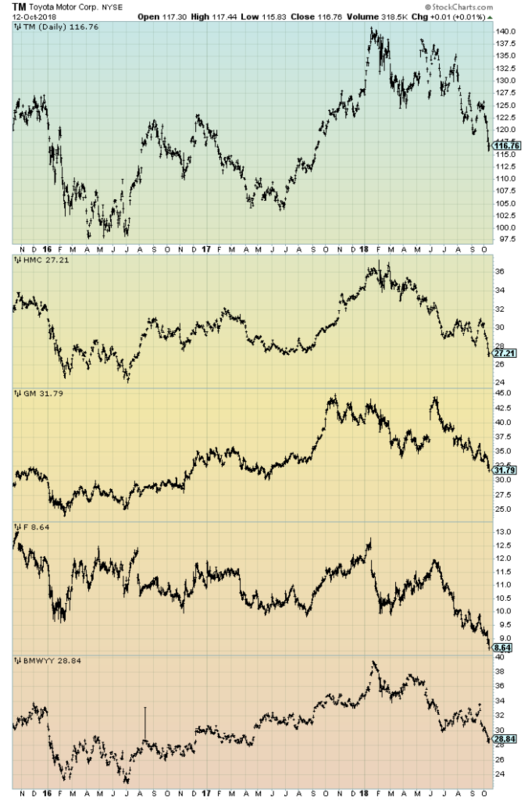 Employment Trends” page. 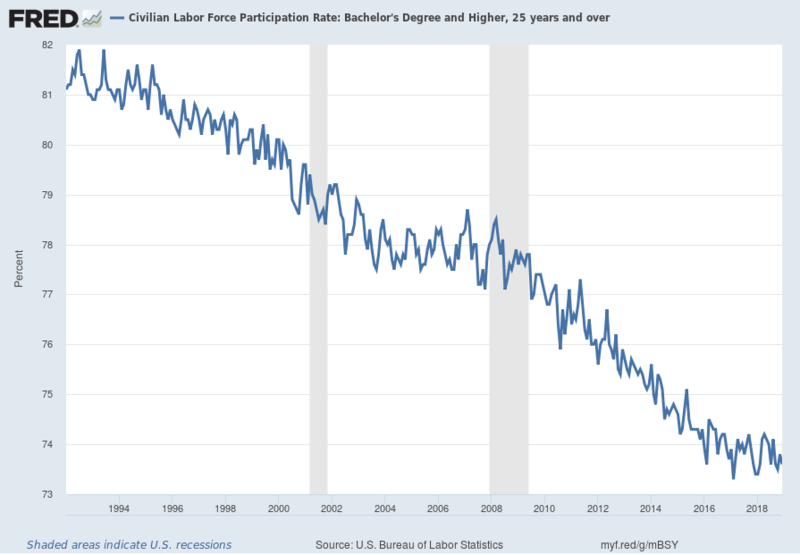 While there are many charts that can be shown, one that depicts a worrisome trend is the Civilian Labor Force Participation Rate for those with a Bachelor’s Degree and Higher, 25 years and over. Among disconcerting aspects of this measure is the long-term (most notably the post-2009) trend, especially given this demographic segment’s characteristics. 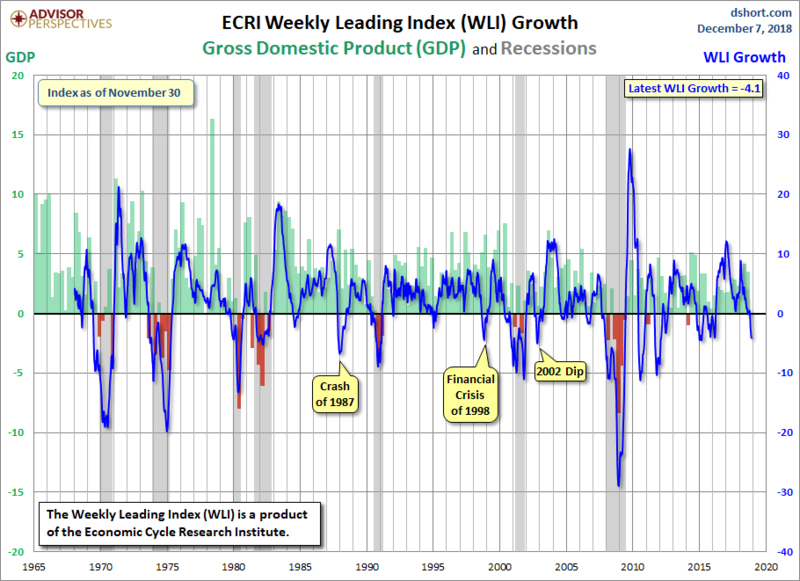 The ECRI WLI,Gr. 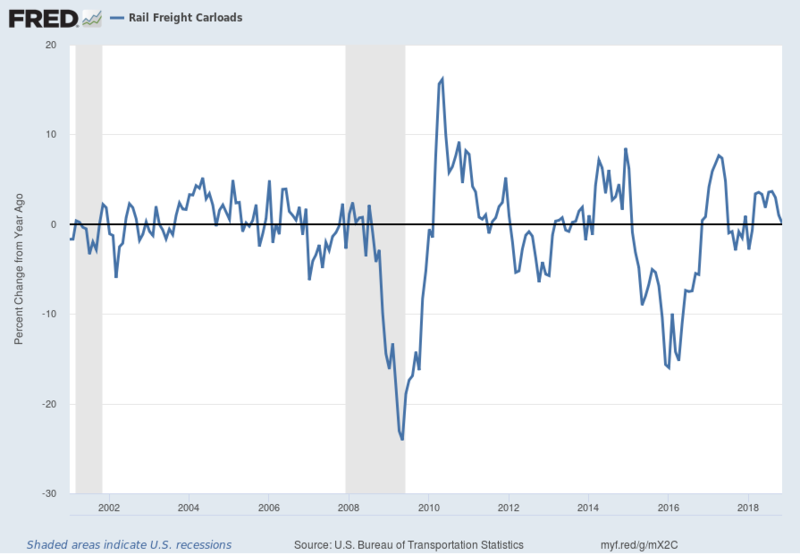 measure has been steadily declining and now is at -6.5% as of the January 11, 2019 update, reflecting data through January 4, 2019. 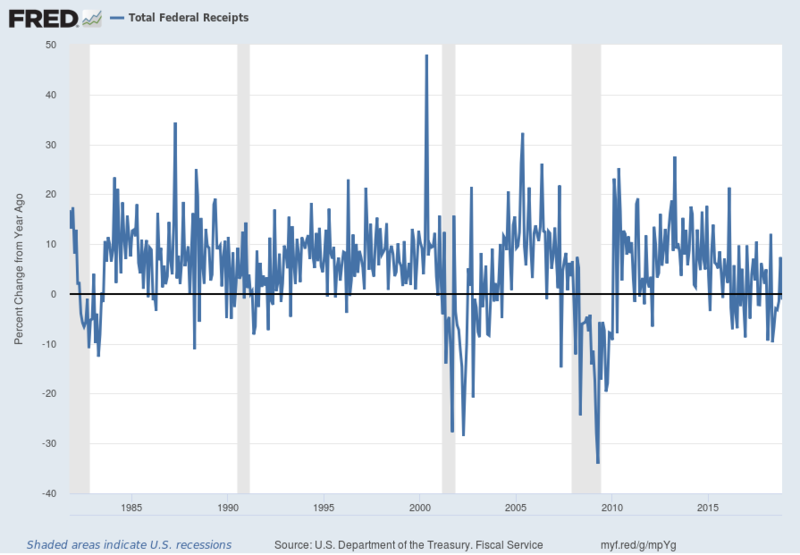 This entry was posted in Uncategorized and tagged economic weakness on January 14, 2019 by Ted Kavadas. 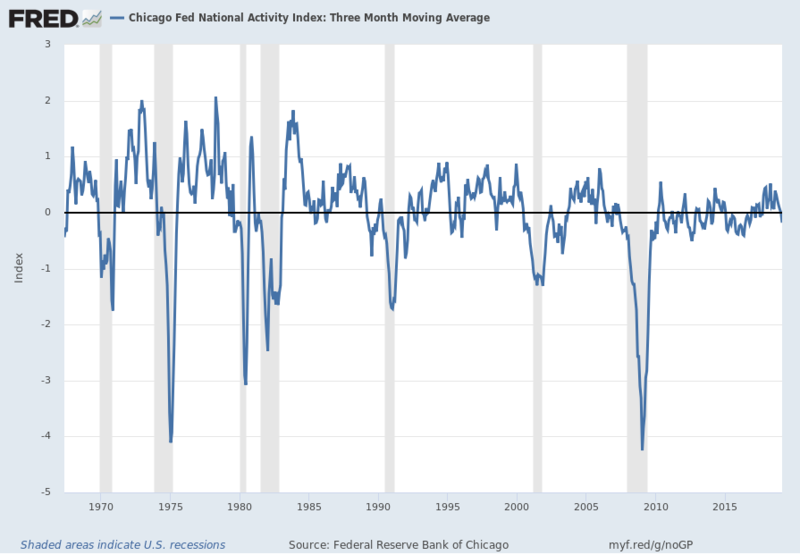 While many U.S. economic indicators – including GDP – are indicating economic growth, others depict (or imply) various degrees of weak growth or economic contraction. As seen in the December 2018 Wall Street Journal Economic Forecast Survey the consensus (average estimate) among various economists is for 3.1% GDP growth in 2018 and 2.3% GDP growth in 2019. 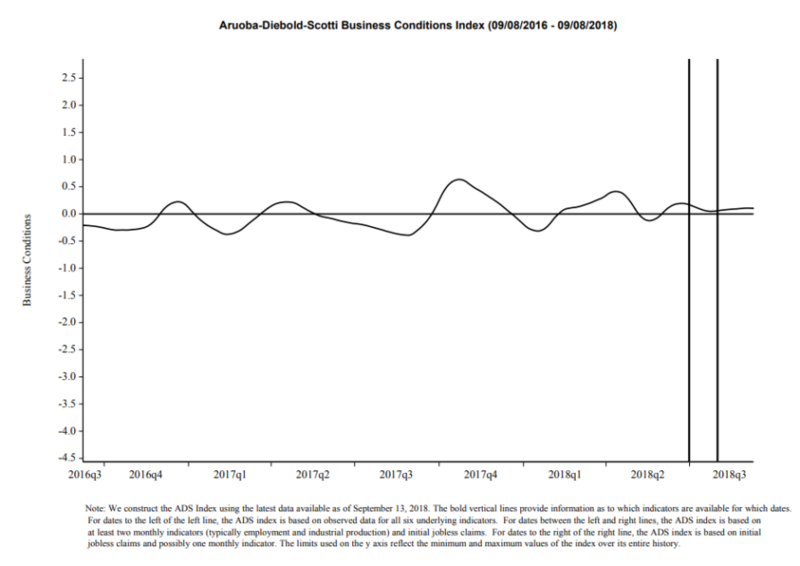 However, there are other broad-based economic indicators that seem to imply a weaker growth rate. While the 3rd quarter GDP (Second Estimate)(pdf) was 3.5%, there are other broad-based economic indicators that seem to imply a weaker growth rate. 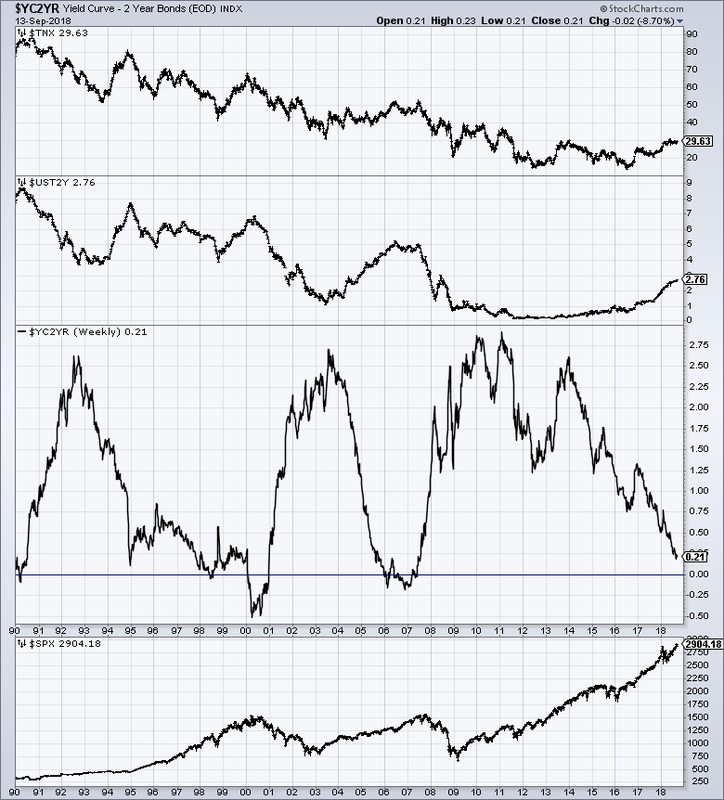 Many people believe that the Yield Curve is a leading economic indicator for the United States economy. 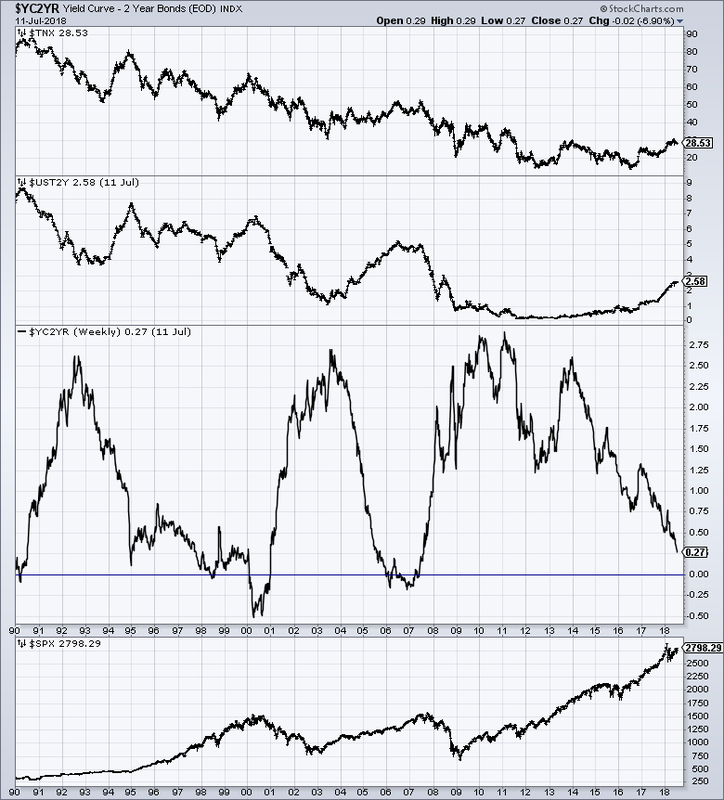 While I continue to have the stated reservations regarding the “yield curve” as an indicator, I do believe that it should be monitored. The ECRI WLI,Gr. measure has been declining and now is at -4.1% as of the December 7, 2018 update, reflecting data through November 30, 2018. 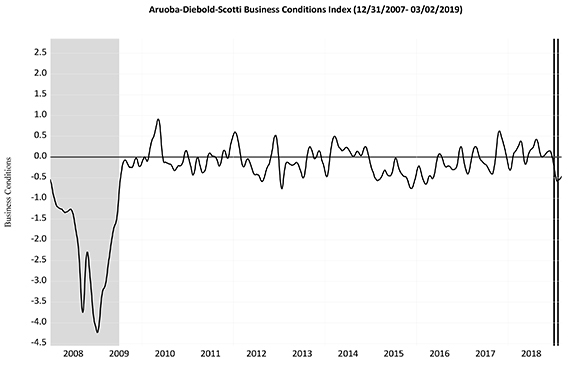 This entry was posted in Uncategorized and tagged economic weakness on December 14, 2018 by Ted Kavadas. While many U.S. economic indicators – including GDP – are indicating economic growth, others depict (or imply) various degrees of weak growth or economic contraction. As seen in the October 2018 Wall Street Journal Economic Forecast Survey the consensus (average estimate) among various economists is for 3.1% GDP growth in 2018 and 2.4% GDP growth in 2019. 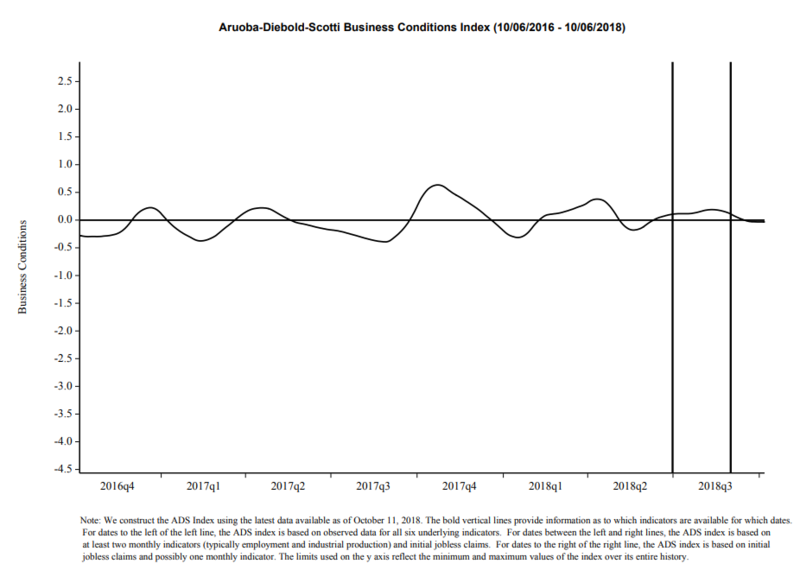 However, there are other broad-based economic indicators that seem to imply a weaker growth rate. The level and growth rates of wages and household earnings continues to be (highly) problematical. 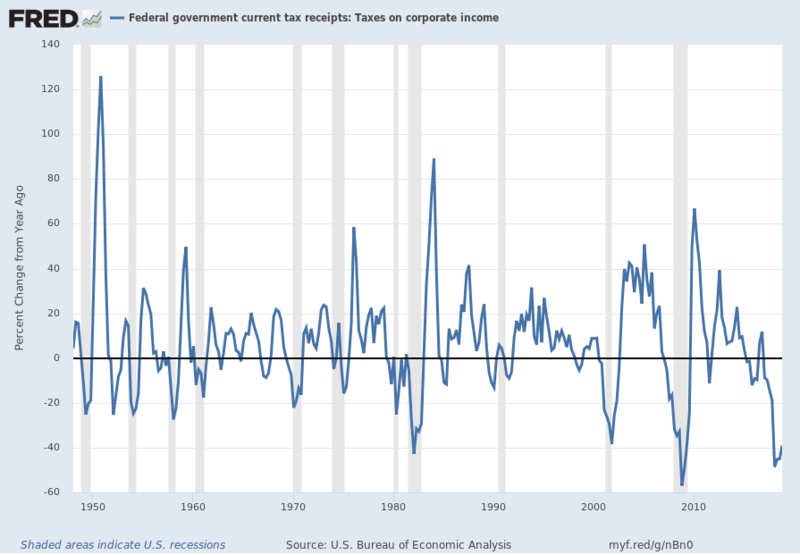 I have extensively discussed these worrisome trends in income and earnings. As seen in many measures the problem is chronic (i.e long-term) in nature. 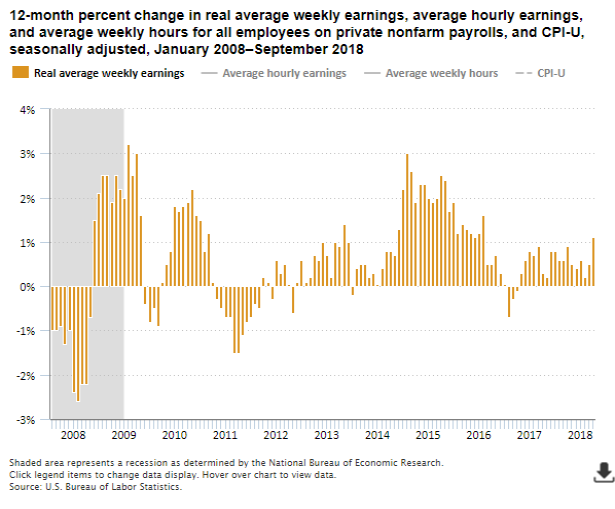 source: Bureau of Labor Statistics, U.S. Department of Labor, The Economics Daily, Real average weekly earnings increase 1.1 percent, September 2017 to September 2018 on the Internet at https://www.bls.gov/opub/ted/2018/real-average-weekly-earnings-increase-1-point-1-percent-september-2017-to-september-2018.htm(visited November 09, 2018). I have written extensively concerning unemployment, as the current and future unemployment issue is of tremendous importance. The consensus belief is that employment is robust, citing total nonfarm payroll growth and the current unemployment rate of 3.7%. However, my analyses continue to indicate that the conclusion that employment is strong is incorrect. While the unemployment rate indicates that unemployment is (very) low, closer examination indicates that this metric is, for a number of reasons, highly misleading. My analyses indicate that the underlying dynamics of the unemployment situation remain exceedingly worrisome, especially with regard to the future. These dynamics are numerous and complex, and greatly lack recognition and understanding, especially as how from an “all-things-considered” standpoint they will evolve in an economic and societal manner. 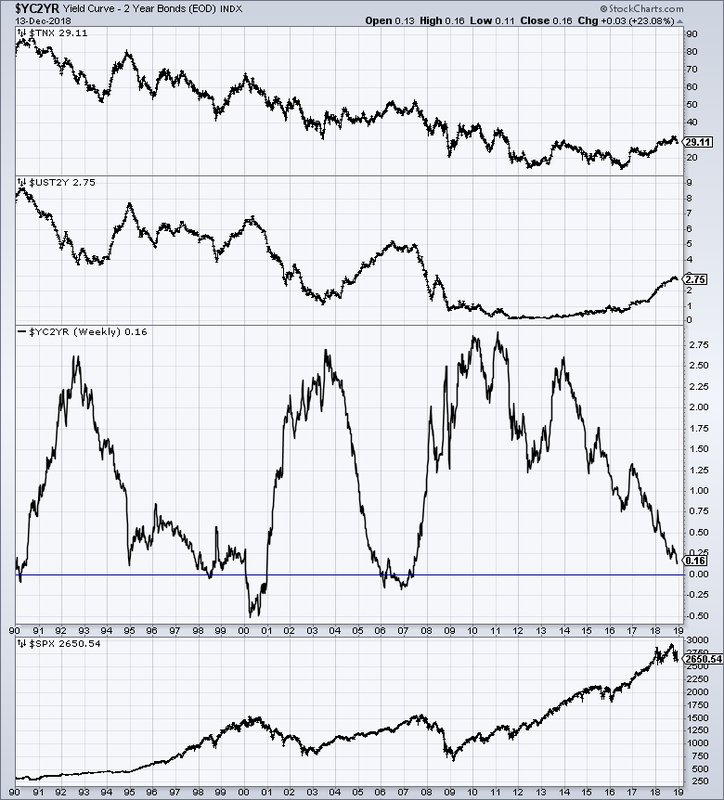 I have recently written of the current and future U.S. employment situation on the “U.S. Employment Trends” page. 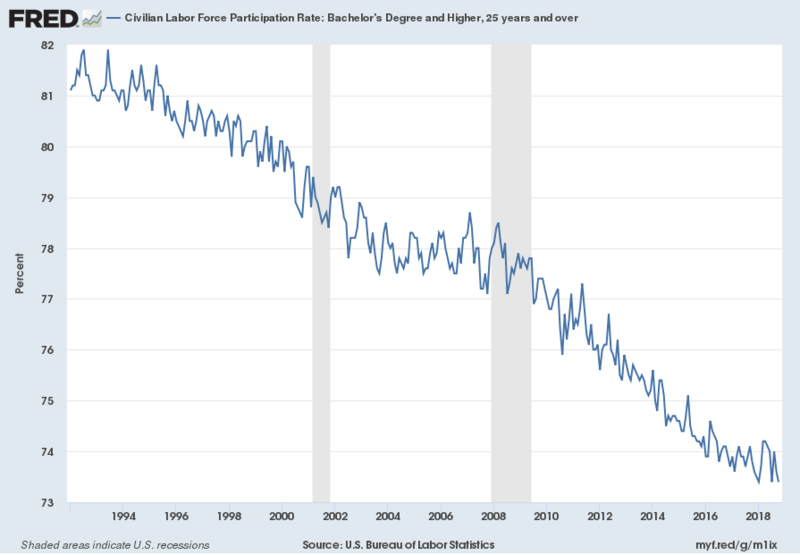 While there are many charts that can be shown, one that depicts a worrisome trend is the Civilian Labor Force Participation Rate for those with a Bachelor’s Degree and Higher, 25 years and over. Among disconcerting aspects of this measure is the long-term (most notably the post-2009) trend, especially given this demographic segment. 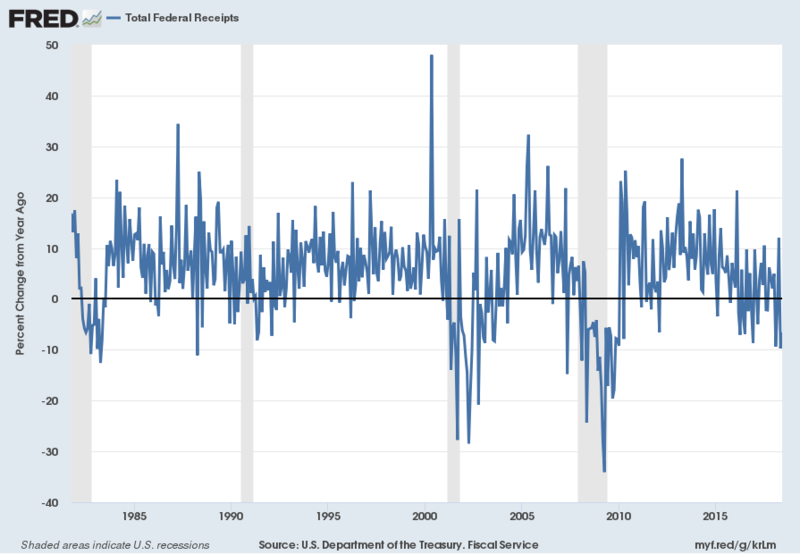 For numerous economic reasons, the number and price of homes sales, especially new home sales, is a very important aspect of the U.S. economy. 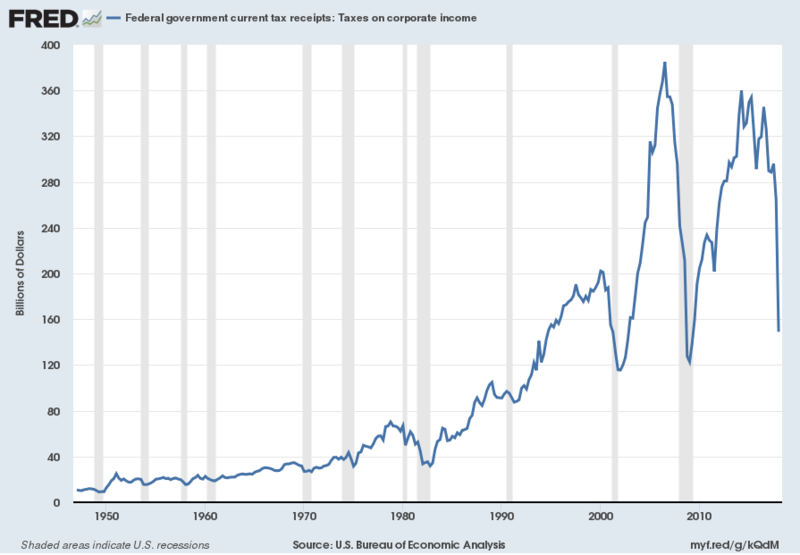 This entry was posted in Uncategorized and tagged economic weakness on November 14, 2018 by Ted Kavadas. While many U.S. economic indicators – including GDP – are indicating economic growth, others depict (or imply) various degrees of weak growth or economic contraction. As seen in the October 2018 Wall Street Journal Economic Forecast Survey the consensus (average estimate) among various economists is for 3.1% GDP growth in 2018 and 2.4% GDP growth in 2019. However, as discussed below, there are other broad-based economic indicators that seem to imply a weaker growth rate. One GDP-based measure that is notable is that of the GDPplus measure from the Federal Reserve Bank of Philadelphia. While the 2nd quarter GDP (3rd Estimate)(pdf) was 4.2%, there are other broad-based economic indicators that seem to imply a weaker growth rate. 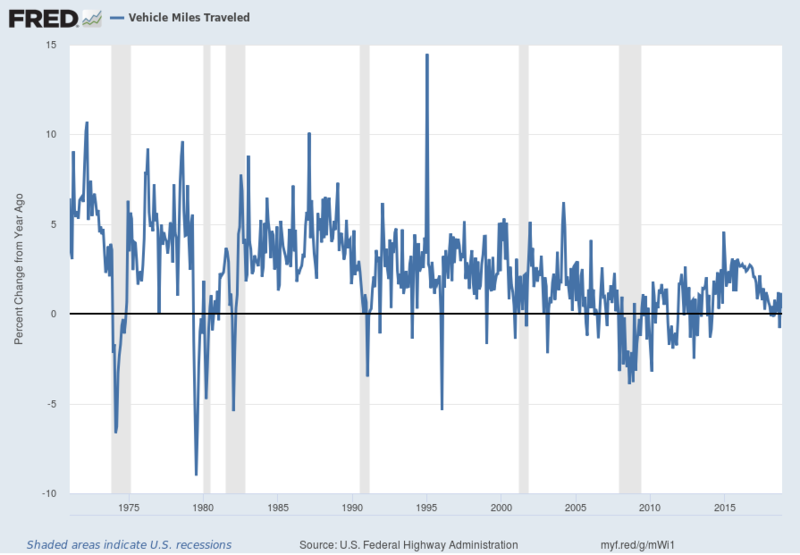 As discussed in previous posts, I believe that many factors indicate that auto sales have peaked. 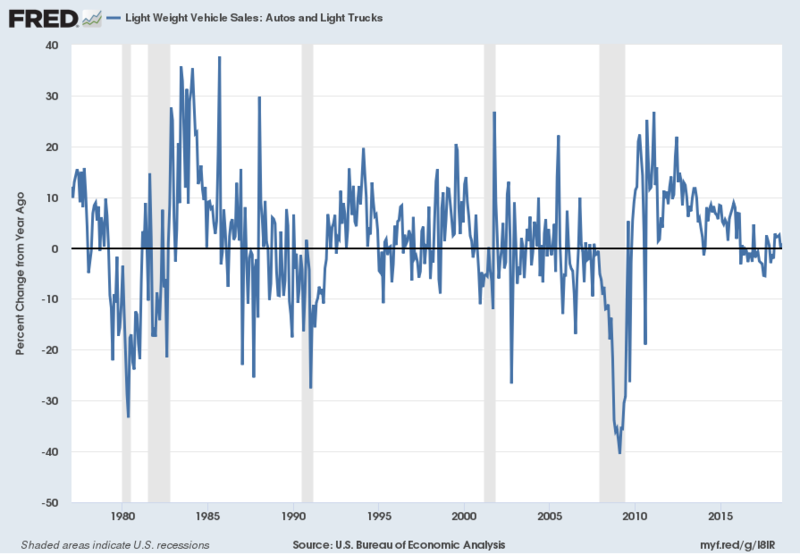 While this peaking will have extensive economic implications, there are many other factors concerning auto sales that are worrisome. While an exhaustive discussion of the topic would be exceedingly lengthy, various notable factors include the degree to which (ultra-) cheap financing and relaxed financing terms are aiding sales, as well as various aspects of pricing and discounting. 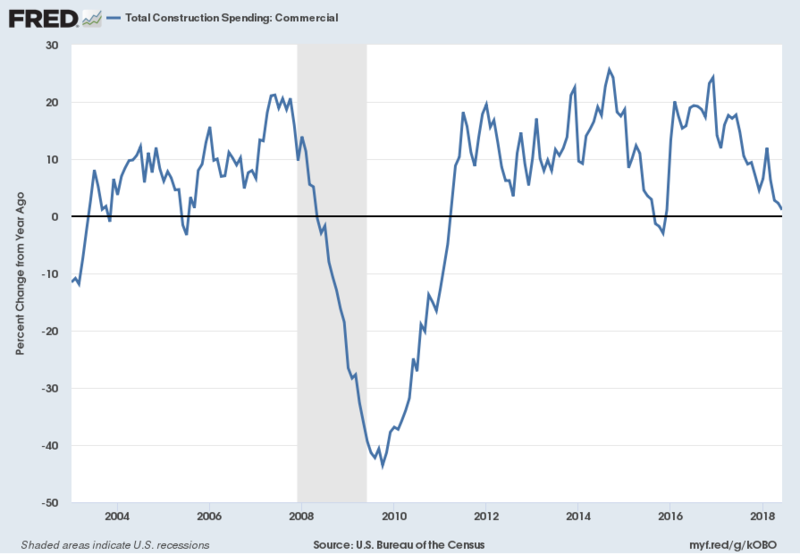 In the March 23, 2017 post (“‘Hidden’ Weakness In Consumer Spending?“) I wrote of various indications that consumer spending may be (substantially) less than what is depicted by various mainstream indicators, including overall retail sales. 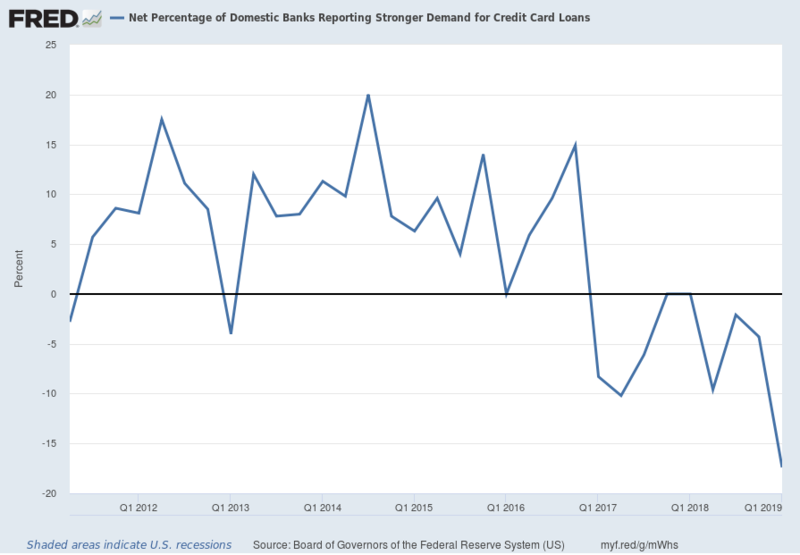 This entry was posted in Uncategorized and tagged economic weakness on October 15, 2018 by Ted Kavadas. 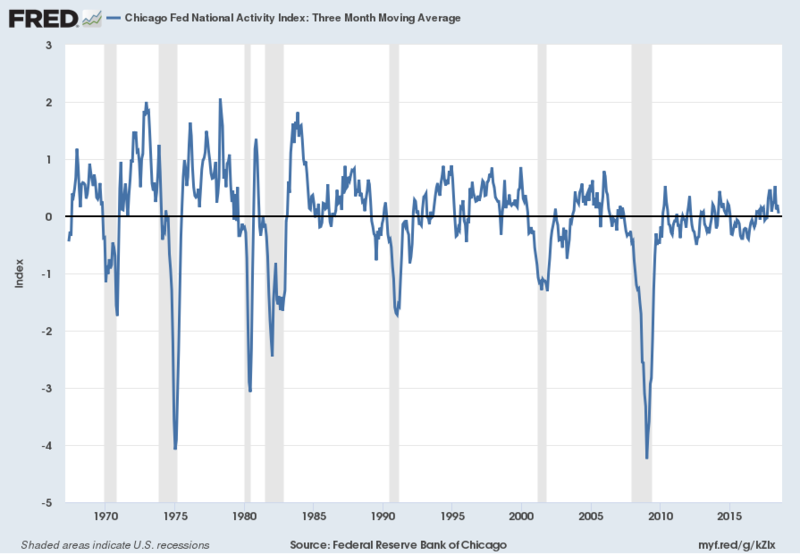 While many U.S. economic indicators – including GDP – are indicating economic growth, others depict (or imply) various degrees of weak growth or economic contraction. As seen in the September 2018 Wall Street Journal Economic Forecast Survey the consensus (average estimate) among various economists is for 3.1% GDP growth in 2018 and 2.4% GDP growth in 2019. However, there are other broad-based economic indicators that seem to imply a weaker growth rate. 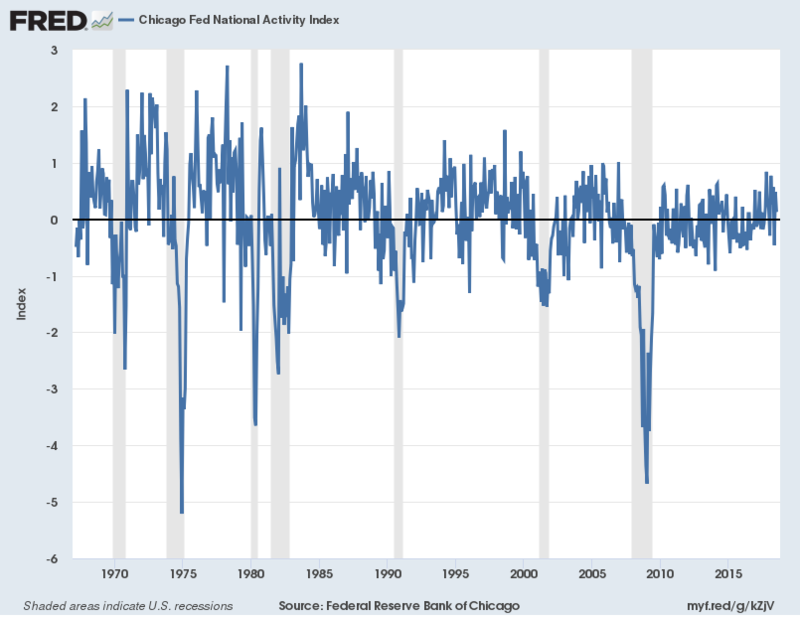 Among the broad-based economic indicators that have been implying weaker growth or mild contraction is the Chicago Fed National Activity Index (CFNAI). 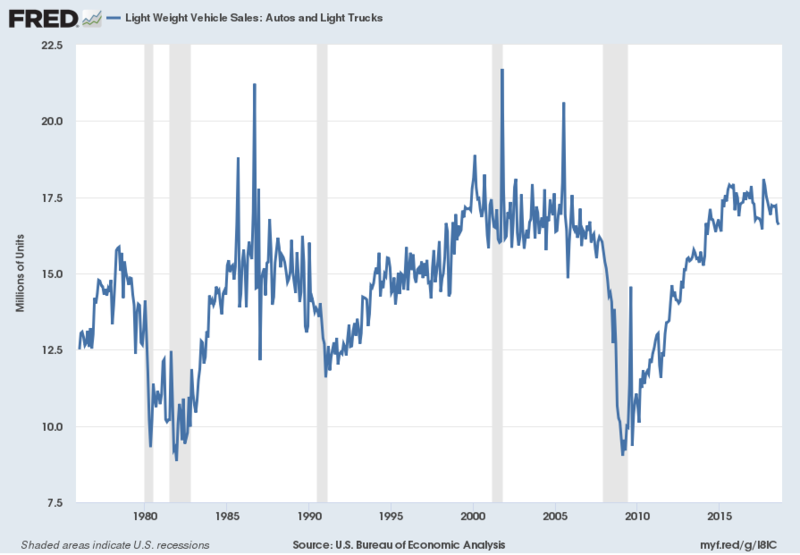 I believe that many factors indicate that auto sales have peaked. 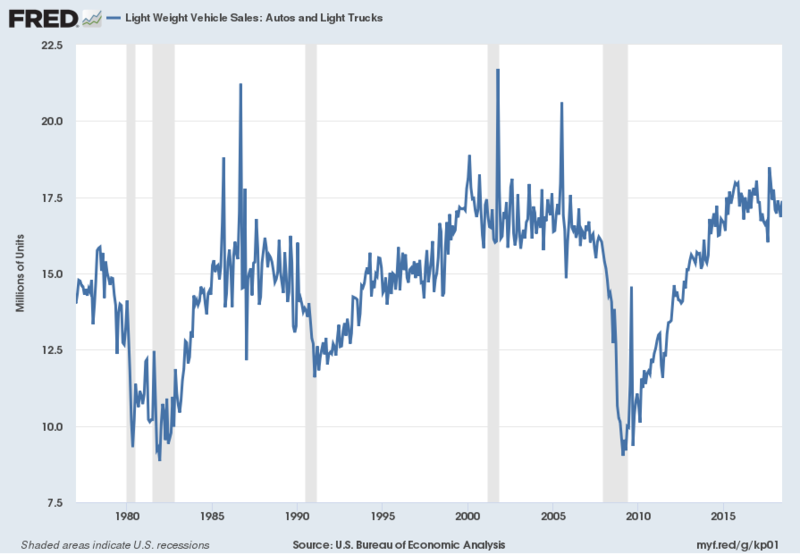 While this peaking will have vast economic implications, there are many other factors concerning auto sales that are worrisome. While an exhaustive discussion of the topic would be exceedingly lengthy, various notable factors include the degree to which (ultra-) cheap financing and relaxed financing terms are aiding sales, as well as various aspects of pricing and discounting. 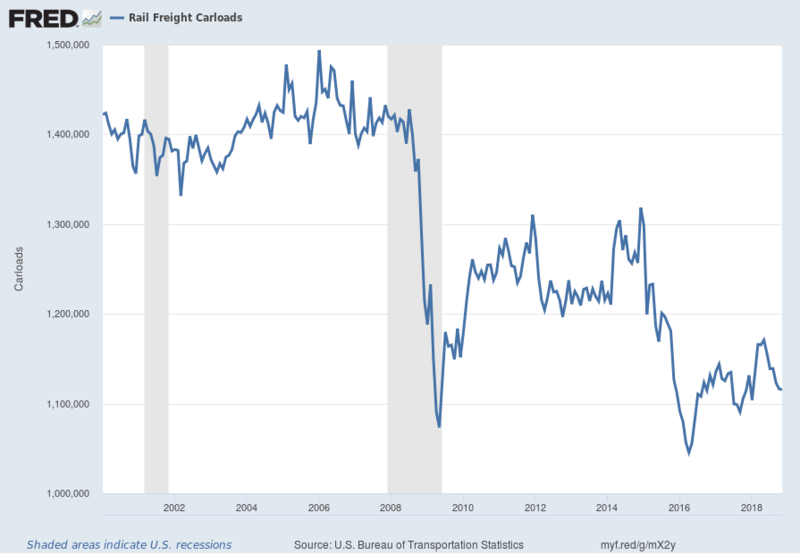 This entry was posted in Uncategorized and tagged economic weakness on September 14, 2018 by Ted Kavadas. While many U.S. economic indicators – including GDP – are indicating economic growth, others depict (or imply) various degrees of weak growth or economic contraction. As seen in the August 2018 Wall Street Journal Economic Forecast Survey the consensus (average estimate) among various economists is for 3.0% GDP growth in 2018 and 2.4% GDP growth in 2019. However, there are other broad-based economic indicators that seem to imply a weaker growth rate. While the 2nd quarter GDP (Advance Estimate)(pdf) was 4.1%, there are other broad-based economic indicators that seem to imply a weaker growth rate. 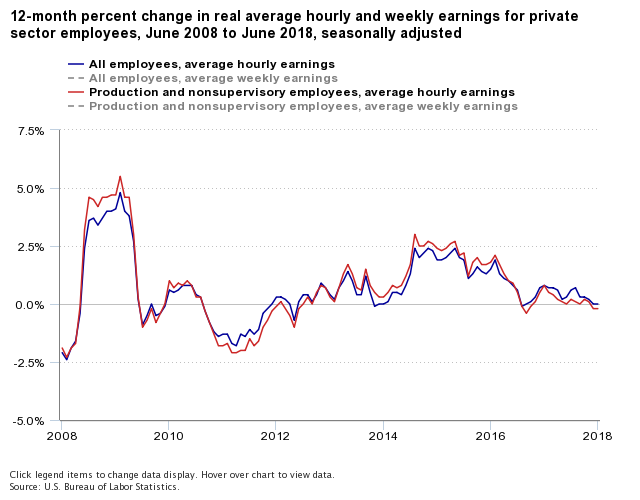 source: Bureau of Labor Statistics, U.S. Department of Labor, The Economics Daily, Real average hourly earnings unchanged from June 2017 to June 2018 on the Internet at https://www.bls.gov/opub/ted/2018/real-average-hourly-earnings-unchanged-from-june-2017-to-june-2018.htm(visited August 10, 2018). 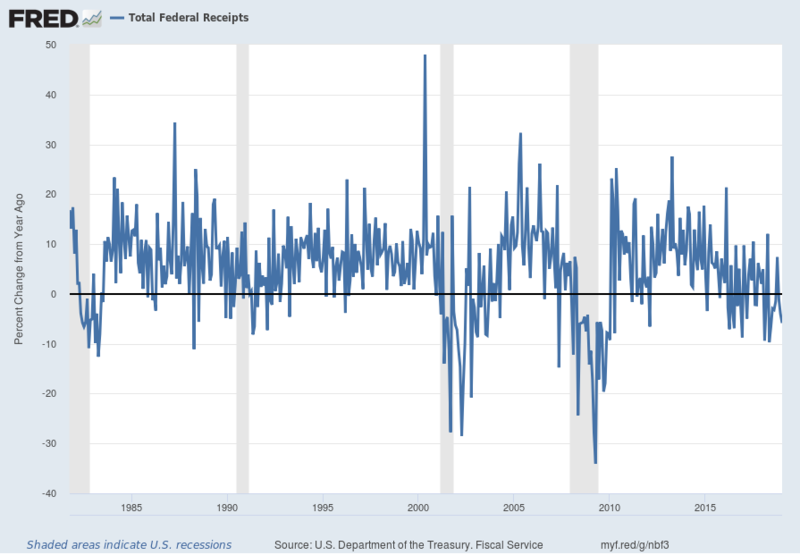 This entry was posted in Uncategorized and tagged economic weakness on August 13, 2018 by Ted Kavadas. While many U.S. economic indicators – including GDP – are indicating economic growth, others depict (or imply) various degrees of weak growth or economic contraction. As seen in the July 2018 Wall Street Journal Economic Forecast Survey the consensus (average estimate) among various economists is for 2.9% GDP growth in 2018. However, there are other broad-based economic indicators that seem to imply a weaker growth rate. 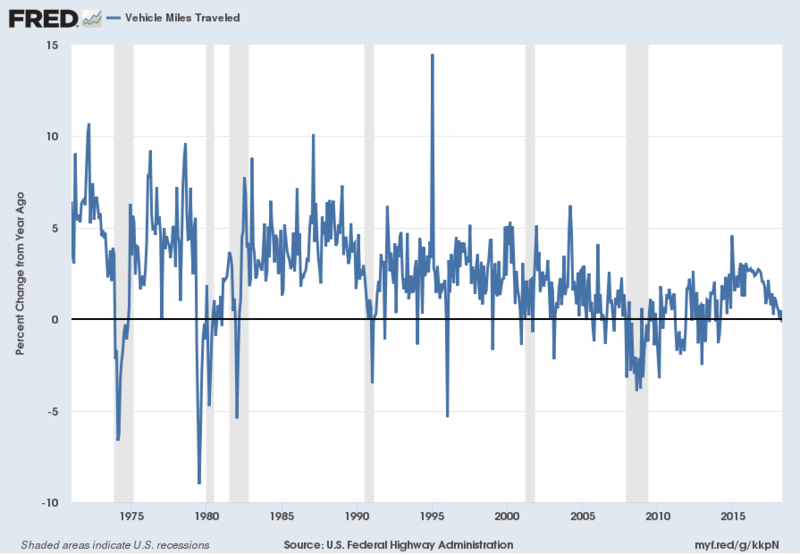 I find the flagging growth trend in the “Vehicle Miles Traveled” (NSA) measure since 2015 to be notable. 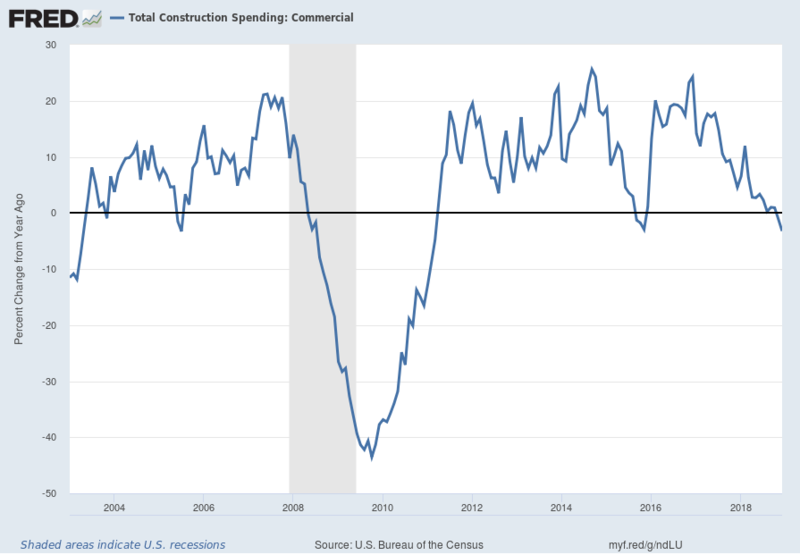 This entry was posted in Uncategorized and tagged economic weakness on July 13, 2018 by Ted Kavadas.